Ancient World Celebrities | Watch the stars. They're off the charts! Let’s face it – celebrities are weird. Living life under the watchful eye of the public can do things to people, though some celebrities are already weird before they became famous. Some people get famous because they’re weird (hello, Poppy! ), intriguing people to the point where they’ve become viral. Which brings us to the question: who’s the weirdest among the weird? Well, luckily for you, we’ve decided to make a list of the top 5 weirdest (and ancient) celebrities out there – or, at least, the weirdest reasons why they got famous, anyway. These twins have defied all that we know about conjoined twins. Scientists say that conjoined twins only live for a couple of years before passing away, or, if they’re lucky, they live through decades but in bad health and physical state. The Bunker twins have lived a normal life (save for, you know, being stuck together and all), even going on to marry and have children – a reported 22 children, in fact. Conjoined by a piece of cartilage in their sternum, these twins have pretty much been through it all. They were discovered by Robert Hunter and bought them as slaves (for $300, can you imagine!) and shipped them off to Boston from their hometown Siam, now known as Thailand, and was also the origin of their name Siamese Twins. In Boston, they went on to join P.T. Barnum’s circus before comfortably retiring in 1838. Introducing the Siamese twins brings us to the next person on our list – P. T. Barnum. Honestly, if you want to talk weird, this guy is it, considering he did start what was considered to be the “greatest travelling show on Earth.” Phineas Taylor Barnum was just a simple man before who owned a lottery store until they were banned in Connecticut, the place he was residing in. He then moved to New York and started work as a showman. After the Panic of 1837 and three years of financial struggle, he finally built himself up again when he bought and reinvented Scudder’s American Museum to Barnum’s American Museum. Because life is oftentimes unfair and full of ups and downs, his museum got burned down in 1865. 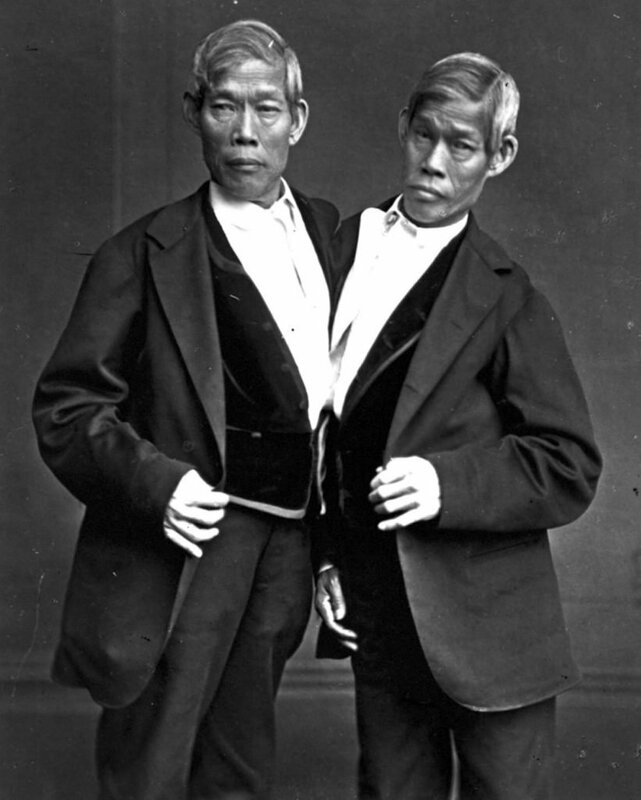 Five years later, he started the “Barnum and Bailey Brothers Greatest Show,” showcasing people with abnormalities and disabilities on display, being labelled as “freaks.” These acts included the Siamese twins, the Bearded Lady, dwarfs, and many others who were deemed to be “outcasts” of society, simply because of how they looked. These exhibitions are what made P.T. Barnum famous until today, with his life being made into a fictional biopic called The Greatest Showman. Yes, it’s quite a jump from P.T. Barnum, but we did say ancient world celebrities, and who better than the young king himself? Tutankhamun was the youngest known king of Egypt which brought on the name “the boy king.” Considered as Egypt’s most famous’ pharaohs, he’s not exactly weird but mysterious – there’s still no final word on how he died. With the many injuries found in his body, some say that he died because of a chariot accident or in a battlefield during war. Conspiracy theorists say he was murdered – but that’s another story for another time. What’s weird about Tutankhamun is not the way he died but the mystery that surrounds him. It’s said that he has “the pharaoh’s curse,” said that ‘the most dire form of punishment would follow any rash intruder into the sealed tomb.’ No curse was actually found in the tomb (we think) but deaths of those who either discovered him or visited him would cause a media frenzy among those who believe in his curse. Talk about creepy! There’s not much weird stuff about him except for the fact that he’s called ‘Blackbeard’… and the fact that he burns his beard before battle. Edward Teach, also known as ‘Blackbeard’ because of his, well, black beard, was a legendary pirate who sailed the seas of the Caribbean, the coast of Mexico, and Eastern North America. Many stories have been told about him that are either true or not. One story that we know is true is that he lit his beard on fire before battle so it would give him a more intimidating appearance. Of course, he didn’t light his whole beard on fire, but he did put little candles and pieces of fuse in his beard to scare his enemies – and it worked. We don’t blame them, we’d be terrified if we saw him totally calm about his beard being on fire, too! We absolutely cannot finish this list without possibly one of the weirdest dudes of them all – Salvador Dali. Born in Catalonia, Spain, Salvador Dali was an artist who made paintings and sculptures. He was mainly involved in surrealism, a type of art that showed dream-like scenes that would be impossible in real life. The one thing that made him stand out was his moustache. It became his trademark look, growing out from his face and pointing upwards as it grew. His paintings were weird and out-of-this-world, exploring themes like war and love. The man himself was pretty eccentric – just take one of his most famous quotes as a testament to how weird he is: “I don’t do drugs. I am drugs.” What a guy!